Godzilla | No Chic. Just Geek. When a once-popular and long-running series finally bites the dust, the natural conclusion to draw is that it must all be the fault of the final instalment, and this is often an entirely justified response: Carry On Emmanuelle, for instance, is pretty much guaranteed to stink out any venue where it is on, and the same is true of Batman and Robin (even though I personally find it marginally less gruelling than Batman Forever). But it is not always thus: Licence to Kill, for example, tends to have a bit of a bad rep amongst Bond fans, simply because it was the last movie before an unprecedented six-year gap between outings for the commander. People assume it was an artistic and commercial failure, even though this is really not the case. Sometimes what happens is that a succession of substandard films does such damage to the critical and popular standing of series that it’s impossible for things to recover, regardless of whether there’s a turnaround or not – Licence to Kill is far from perfect, but it’s still arguably better than the films immediately preceding it. And the same is true of the movie which brought down the curtain on the original run of Godzilla movies, Terror of Mechagodzilla (also known as Mechagodzilla’s Counterattack, The Terror of Godzilla, and the eerily inaccurate Monsters from an Unknown Planet). This is one of those films best-known outside Japan through the proverbial ‘international version’, although the results here are not quite as extreme as is sometimes the case. 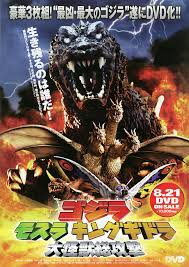 This movie reached America in 1978, three years after its domestic release, through the good offices of Henry G Saperstein, long-time associate of Toho and the man responsible for the appearance of so many anonymous American actors in earlier Godzilla movies. The American version of Terror of Mechagodzilla was produced by ‘The Mechagodzilla Company’ (an organisation perhaps not named with longevity in mind) and mainly differs from the original in the addition of a rather unusual pre-credits sequence. This is basically a brief reprise of the entirety of the Godzilla series to this point, taking a few liberties with the actual facts along the way – the exact origins of Godzilla are left vague, and he is presented as an essentially innocent victim of human aggression. The arc of the series, such as it is, is recapped – Godzilla beginning as the unstoppable engine of destruction, before becoming the ally of humanity and defender of Earth against alien threats. All this concludes with the events of the previous film, in which Godzilla was obliged to take on his evil robot double. The execution of this whole sequence perhaps leaves a little to be desired, but it does set up the film quite well. Things get underway shortly after the climactic battle of Godzilla Vs Mechagodzilla, with an experimental submarine going in search of the wreckage of Mechagodzilla, which was dumped into the sea. The crew’s first shock is that there is no wreckage to be found; the second is that they come under attack from a giant amphibious dinosaur and the sub is destroyed. Well, the sub’s owners at the Ocean Exploitation Institute go to Interpol to complain, because the police are obviously the best people to deal with the problem of giant dinosaurs sinking submarines. Rudimentary investigations put our very forgettable heroes on the trail of Dr Mafune (Akihiko Hirata), a genius biologist and generally embittered mad scientist, who claimed to have discovered a surviving dinosaur in the oceans just off Japan – a creature he christened Titanosaurus. Tracking Mafune down to his remote house on the coast, the cops learn from his slightly creepy daughter (Tomoko Ai) that Mafune died years ago and she knows nothing about the Titanosaurus problem. She’s lying, of course: Mafune is still alive, has Titanosaurus under remote control, and is planning to use the monster to exact vengeance on the world which refused to listen to his brilliant theories about fish farming. (As you would.) What is more, he has teamed up with the Black Hole Aliens (bad guys of the previous film), who basically seem to want to demolish Tokyo and redevelop the area. To this end they have just finished putting Mechagodzilla back together in their secret base, having pinched the wreckage from the sea floor in their flying saucers. (Interpol could track down the Black Hole Aliens’ operation very easily just by monitoring sales of bacofoil and silly hats.) Needless to say there is a lot of evil laughter when these guys get together. Pleasantly diverting though all this is, it doesn’t much help with the film’s main problem, which is that this is a movie called Terror of Mechagodzilla, and Mechagodzilla isn’t in it that much. The story is more preoccupied with the various doings of Titanosaurus, who is a reasonably well-designed monster, but even so. Mechagodzilla gets less screen-time than Titanosaurus, though it could be worse – Godzilla is the ostensible hero-monster of the movie, and he’s in it less than either of them. He barely gets mentioned in the first half, turning up unannounced out of nowhere to fight Titanosaurus, and everyone involved – both actors and film-makers – seems to take him entirely for granted. He’s almost just a plot device rather than a character or a participant in the story. Still, this is far from the only Godzilla movie to have this particular problem, and it may in fact be a fundamental flaw in the genre. At least Terror of Mechagodzilla seems to be taking itself relatively seriously, and doesn’t include too many wacky elements. Nobody’s favourite Godzilla film, probably, but a creditable attempt at striking a balance between sticking to the classic formula and doing something slightly different. 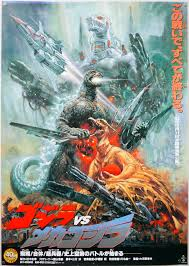 Well, here’s something which has kind of snuck up on me: having recently watched Takao Okawara’s Godzilla Vs Mechagodzilla II, I find myself in the position of having seen all thirty-two of Toho’s Godzilla movies. This has been a long road, to be perfectly honest: there were only seventeen when I started, back in 1990, and the fact that most of the recent films are very difficult to track down in the UK did not help much. Thank the stars for the internet. It seems quite appropriate that this should form the basis of the landmark 1002nd film review on the blog (look, I do literature, not mathematics). Godzilla Vs Mechagodzilla II was released in 1993, and was apparently intended at the time to mark a pause in production for films in the series: the first big-budget American Godzilla was believed to be imminent at the time (in the end it was another five years before it arrived, so Toho made another two movies before finally putting the series on hold). Watching the movie now I suppose you can just about discern the suggestion that things are being concluded, but for the most part it resembles the films around it, not least in the way it reintroduces famous characters from the films of the 60s and 70s. The film gets underway with the United Nations Godzilla Countermeasures Centre unveiling their new weapon to sort the big lizard out once and for all: the severed robotic head of Mecha-King Ghidorah has been fished out of Tokyo bay (where it ended up at the climax of 1991’s Godzilla Vs King Ghidorah) and reverse-engineered so its futuristic technology can be employed in two new vehicles: Garuda, one of those flying tanks which seem to be common in tokusatsu movies, and Mechagodzilla, which is, um, a mecha which looks like Godzilla. Flying Garuda, to begin with at least, is lovable lunk Aoki (Masahiro Takashima). In a piece of foreshadowing about as subtle as being hit by a truck, we are informed that Aoki is a huge fan of pteranodons, not that this particularly informs the plot much. However, quite early on he is redeployed to elsewhere in the anti-Godzilla corps, which if nothing else means he gets to wear a snappy cravat with a big G on it (this is actually part of the uniform). From here we cut to a bunch of scientists on one of those remote Pacific islands which are such a common feature in these films. They are excited to have discovered some impressive pteranodon fossils, and also an actual intact egg. Excitement shifts to alarm when they realise that another egg has already hatched, and a giant pteranodon is roosting in the vicinity. The unlikely size of this beastie is explained by one of the boffins as the result of nuclear waste irradiating the island, though I’m not sure this entirely explains what pteranodon eggs are doing on a Pacific island in the 1990s. As a result of the discovery of the singing telepathic moss, the egg hatches out, not into another pteranodon but a baby godzillasaurus, which everyone refers to as Baby Godzilla. 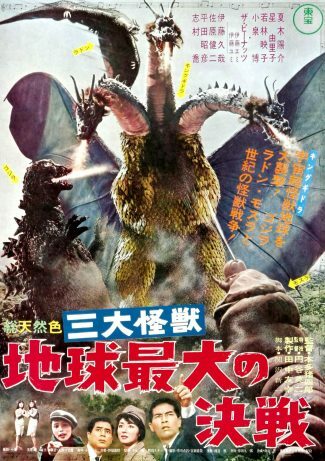 Baby Godzilla seems essentially benign and doesn’t appear to be especially irradiated, which just adds to his cuteness. It’s never really confirmed that Baby Godzilla and the full-sized version are closely related, but big Godzilla certainly seems to take an interest in the newborn and starts heading for Kyoto. There’s only one thing to do: stand by to launch Mechagodzilla! Well, if nothing else, I feel like I’m beginning to understand why so many of the sub-par Godzilla movies of the 1990s and early 2000s feel so samey – it’s because most of them were written by Wataru Mimura (Tokyo SOS, which is the best of the post-1992 Godzilla films, was the work of someone else). Quite apart from a rather Gerry Anderson-esque take on Mechagodzilla, what these films have in common is a tendency to treat Godzilla like bad weather – one of those annoying facts of life people just have to come to terms with – rather than the terrifying menace he is in some of the other films. Godzilla just turns up and attacks places in this film whenever the plot slows down a bit. I say ‘plot’, but the main problem with Godzilla Vs Mechagodzilla II is that in a very real sense it doesn’t actually have a plot – not to the extent that it feels in any way structured or thought-through. Things just happen one after the other, frequently without much in the way of explanation or causality, to say nothing of occasional odd tangents. The film is reliant on things happening without any real explanation – where do the eggs come from? What the hell is the deal with the singing telepathic moss? Why does Baby Godzilla seem to have psychic powers? How come Rodan mutates into a more dangerous form halfway through the movie? I could go on. One result of this is that something rather odd happens with audience sympathy in the course of the film. 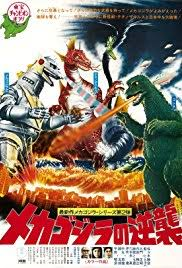 To begin with, Godzilla is the same ambiguous anti-hero as in all the movies since the 1984 relaunch of the series, and the operators of Mechagodzilla are heroic defenders of Japan. But by the end of the film, one finds oneself rooting for Godzilla – or at least expected to do so – as he takes a beating from characters who are theoretically the protagonists. The only catalyst for this is the fact that the bosses at G-Force are unspeakably cruel to Baby Godzilla, using him as bait even though he is so small and cute. I suppose if nothing else this speaks volumes about the famous Japanese vulnerability to anything cute with big eyes. In the end, though, one has to remember that this film is predicated on the idea that, having salvaged priceless technology from the future, the best thing the UN can think of doing with it is to build a giant cybernetic dinosaur with laser-beam eyes. Normal standards of logic and sanity are clearly not in effect. In the past I have spoken of the special pleasures of a Good Bad Movie – Godzilla Vs Mechagodzilla II is not quite a Good Bad Movie, but it is at least an Okay Bad Movie, and the dedicated Godzilla audience it was clearly made for will probably find stuff to enjoy here. Like many people of my generation from the UK, my first exposure to the Godzilla franchise came from the Hanna-Barbera cartoon series that first aired in the late 70s and early 80s. It was diverting enough at the time, I suppose, but watching an episode a few years ago was a somewhat disconcerting experience: the animation was rather primitive, and, most jarring of all, Hanna-Barbera inexplicably chose not to license the sound of Godzilla’s roar, with the result that the King of the Monsters spent most of the time sounding like a gargling dog. The series took a few liberties with peripheral matters – Godzilla was an almost wholly benevolent figure, with laser-beam vision, accompanied by a comic-relief mini-me named Godzooky – but at least managed to hang on to the core experience of the franchise, which was a regular succession of monster smackdowns. It was a decent gateway to the full Godzilla experience, in other words. Having been somewhat spoilt by some really good live-action Godzilla movies over the years, the news that Toho’s animation division was hard at work on an animated addition to the franchise was interesting, rather than a source of unconditional delight. Now the project in question has appeared, most likely, on a market-leading streaming site near you – originally entitled Monster Planet, it’s ended up being called Planet of the Monsters, which if nothing else gives you a decent sense of what to expect. It is directed by Kobun Shizuno and Hiroyuki Seshita. This is another total reboot of the series, which appears to have become Toho’s preferred option for Godzilla movies these days. The backstory goes as follows: in the last months of the 20th century (yup, you read that right), the human race found itself bedevilled by attacks by a series of giant monsters, culminating in the appearance of an invincible behemoth known as Godzilla. All attempts to defeat this menace having failed, the human race took advantage of an offer of help from two passing groups of alien refugees, the religious Exif and the technologically-advanced Bilusaludo, to abandon Earth and look for a new home on another planet. Well, the story proper kicks off twenty years later, sort of: things look grim for the refugees, who are leading a gruelling existence of scarce resources and existential misery, with their continued survival doubtful and little prospect of their discovering a new home planet. Main character Haruo Sakaki is in really a permanent strop about all of this, convinced that humanity gave up Earth too easily. He even publishes an anonymous paper arguing that Godzilla could be killed using recent technological advances. 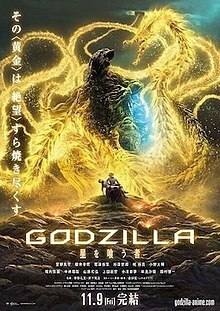 I don’t necessarily have a problem with Godzilla movies that allow themselves to be somewhat influenced by other bits and pieces of pop culture from around them – there’s an element of James Bond to some of the later films from the original series, Godzilla vs King Ghidorah owes a lot to The Terminator, there’s a large chunk of The Matrix in Final Wars‘ curious mixture of influences, and so on. But there’s definitely something odd about the way that you could watch Planet of the Monsters and in effect catch up on much of what’s been going on SF and fantasy movies and TV over the last decade so. In other words, there’s a bit of Interstellar here, a bit of Battlestar Galactica, a lot of After Earth, even a smidgeon of Skull Island. Which would all be fine, but the problem is that they seem to have left Godzilla completely out of the mix. There are two basic ways of doing a story about Godzilla: either he’s the living-engine-of-destruction walking-metaphor-for-something-or-other bad guy, or he’s the possibly-misunderstood defender-anti-hero. This film tends towards the first position, but never completely adopts it. It’s not quite the case that this is one of those films that isn’t really interested in or even actually about Godzilla – he is the central driver of the plot throughout – but at all times it seems more about idea of Godzilla than a living, active monster. Godzilla is always just looming over the horizon somewhere, or being discussed, but other than occasionally nuking something with his atomic breath he is oddly passive, never doing much (well, there are no buildings around for him to crush), a cypher rather than a character or a metaphor. The movie’s two innovations both have definite potential – there’s the idea of Godzilla taking on an army of sci-fi jet bikes, walking tanks and soldiers in power armour, and also the notion that over the course of twenty millennia, a whole new Godzillafied ecosystem has developed to cover Earth (in other words, everything’s a little bit Godzillaish). But not much is done with the latter, and former is just superficial, contributing only visual spectacle. You never really care about the action or feel invested in it. This is, of course, largely the fault of the script, which features some laborious and rather baffling plotting. Why do they include not one but two distinct races of friendly aliens? Neither of them contributes much to the story. Much of the movie seems precision-tooled to generate maximum confusion, not to mention gloom. I sense some of this may have originated from quite high up in the production. Here is co-director Seshita discussing the ‘new’ version of Godzilla (heavily influenced by the Gareth Edwards version if you ask me, but whatever): ‘With his masses of muscle fibres and unique body tissue to support his enormous bulk, this is an extraordinarily rugged-looking physique. 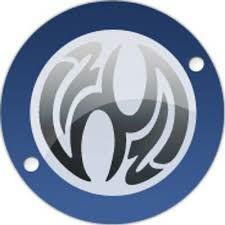 It was an overwhelming presence that reverberated through the whole project, like a fearsome deity that even we who created it must prostrate ourselves before.’ Hmmm, yeah. This sort of thing seems to have filtered through into dialogue like ‘When those fleeting lives destined to die, become arrogant and sing praises of their own narcissistic glory, such will shake the very heavens and split the earth.’ Well, quite (and this is relatively easy to follow, compared to some of the lines). It’s hard to tell whether this was written by a teenage poet, or Google Translate, or some odd combination of both. The one thing mitigating in favour of Planet of the Monsters’ casserole of pretentious cobblers and joyless, confusing gloom is the look of the thing, which is certainly distinctive, although not completely consistent. The film goes from near-photorealism to scenes which look rotoscoped and then on to more traditional anime action and carnage. The look of the film isn’t actually bad and is certainly atmospheric, even if the atmosphere created is the one of dour oppressiveness which is arguably one of the film’s problems. In a great (or even good) Godzilla film, you want the following things – a clear sense of who or what Godzilla is supposed to be, interesting and sympathetic human characters, masses of property damage, a worthy opponent for Godzilla to take on, a proper theme tune for the big guy, and at least a little bit of positivity, one way or another. Some good new ideas never hurt. Planet of Monsters falls down so badly because it seems to have viewed this venture into the unknown for the franchise as a chance to dispense with all the accumulated wisdom about how to make these movies work, and includes none of the above. All its innovation is visual, with the story a barely-functional stack of contrivances populated by anonymous characters. 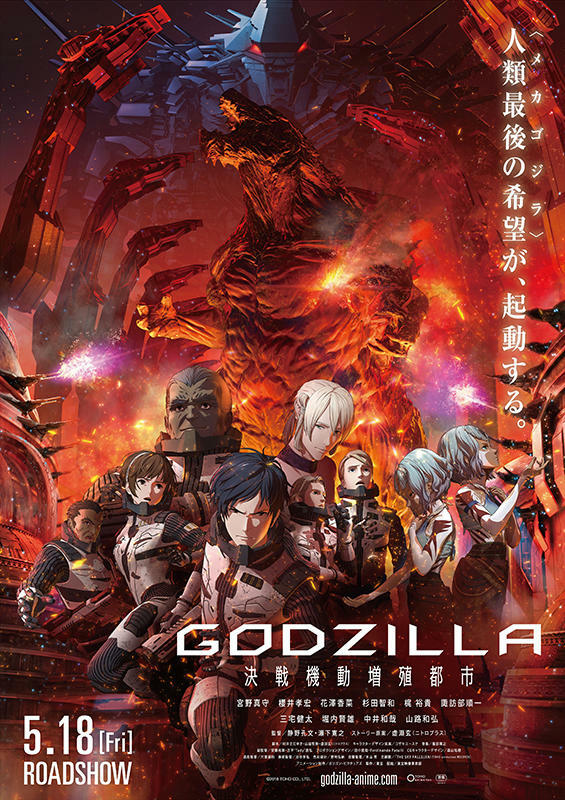 Still, it seems to have been successful enough to earn a sequel (current title something like Godzilla: Living Robot City Final Battle, which hardly bodes well even if it is supposed to have Mechagodzilla in it), and we can only hope that some lessons will have been learned. 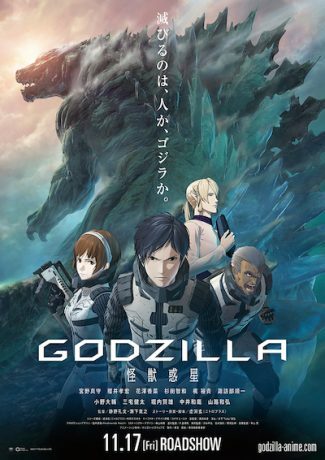 As it is, the less than stellar lineage of animated Godzilla projects continues, alas.